We offer you unique riding holidays in Portugal, Ribatejo region, in small groups on very well trained horses! We welcome you for rides from one hour hackings up to multi-day rides. 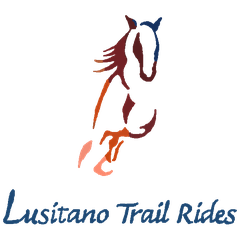 Our 7 day Lusitano trail is the best way to experience the noblesse of our lusitano horses, their friendly character, their soft paces and their willingsness to work. Ideal to get to know the lusitano horses. Our 6 days Destino Atlantico, for more experienced riders and repeaters looking for new riding adventures. We ride from our home in Santarém until the Silver Coast to the amazing Atlantic. NEW: The Magic of Alentejo, a tailormade program full of culture and horses, half day rides and time to visit the beautiful Alentejo, ideal also to bring non riding partners or friends to join you on your holiday. Your relaxing riding holiday to discover the fantastic lusitano horses, our beautiful countryside and the portuguese culture and traditions. Ride your dreams and enjoy Portugal! We are looking forward to welcome you here at Quinta dos Pinheiros.